Hellboy may rise sooner than you think. Speaking with The Wrap, actor David Harbour, who is set to play the titular hero in the impending Hellboy reboot, dished up a handful of juicy movie details. Officially titled Hellboy: Rise of the Blood Queen, the refresh will be dark, gruesome, and definitely R-rated. And according to Harbour, filming will begin this fall. "We're supposed to go in September," Harbour revealed. The actor, known for his work on Netflix's Stranger Things, also explained why he the reboot could skew more towards a gritty character pic and away from a standard superhero film. "It's a whole new thing. I'd always been a fan of the comics and there's a darker tone to it and I think in the climate we have now there's kind of… a desire for more of that," said Harbour. "The script is good and this guy Neil Marshall is directing who's really good and the aesthetic is great. So often, the superhero movies can be really fun and I want this to be really fun, but I also want it to be more of a character piece and more about this dude's struggle. I think it could be interesting." Plot specifics aside, Harbour likely speaks for all Hellboy fans in stating, "I just hope we make a good movie." Harbour's remarks come amidst a whirlwind of Hellboy: Rise of the Blood Queen announcements and news breaks. Last month, comic book artist and Hellboy creator Mike Mignola announced that the demonic character would return to the silver screen for a reboot. In the same breath, it was confirmed that original Hellboy actor Ron Perlman and writer and director of the first two Hellboy films Guillermo del Toro wouldn't return for the third installment, and that Harbour would be the new red-faced hero. Suffice to say, some fans weren't happy. Since then, Perlman has gone on record to approve of Harbour's casting and offer up his best wishes. Earlier this week, Perlman and Harbour even sat down for a peace-establishing dinner to discuss Hellboy: Rise of the Blood Queen. 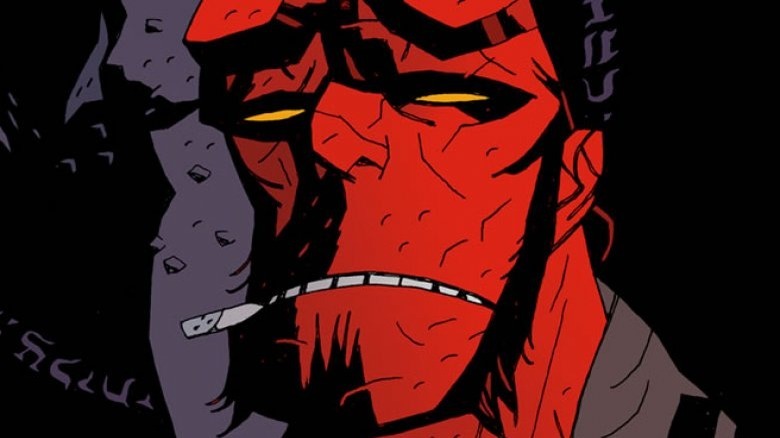 With the initial shock of the Hellboy reboot announcement finally worn off, it looks like fans can rest assured that when filming starts in September, there won't be any tiffs between the old and new Hellboys. As we wait to learn more about Hellboy: Rise of the Blood Queen, check out these reboot movies that really worked.